This recipe looks great but I have a question about the smart points. When I add the nutrition information into my weight watchers app it comes up as 4 smart point per serving not 3. However the recipe says it’s 3 smart points. Which is correct? Are these still 3 smart points? This chili is now 0, the peppers are 0. I don’t think 1.5 tablespoons of reduced fat cheese is 3 points, is it? Could you have this the next day? Have you ever tried? Or too mushy? Can you put in tomatoes instead. If so does the cook time change? 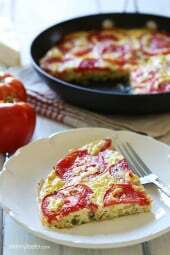 Love this recipe.! I’ve made the chili twice now, and use six boneless breasts for more meat. 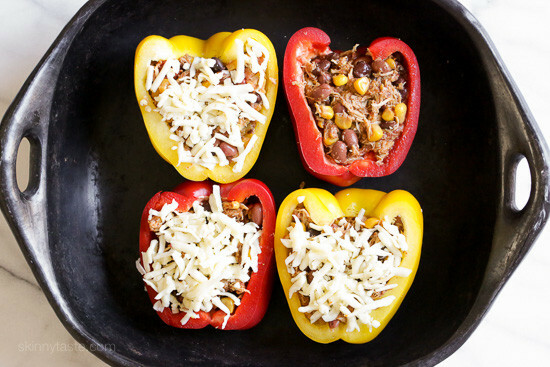 The stuffed peppers are awesome! I use the same technique on the grill., plus some yellow rice. It’s still summer here in NC. No need to heat the oven yet. Crockpot and grill. What’s not to love.? Now looking for an enchilada recipe to go with. Adding some broth and more tomatoes for soup shouldn’t be too hard either! I passed this on to a co worker, her boyfriend loved it so much, he may now propose. ? Do you have to use a crockpot? I used the Crockpot Enchillada Soup instead and they were delicious! 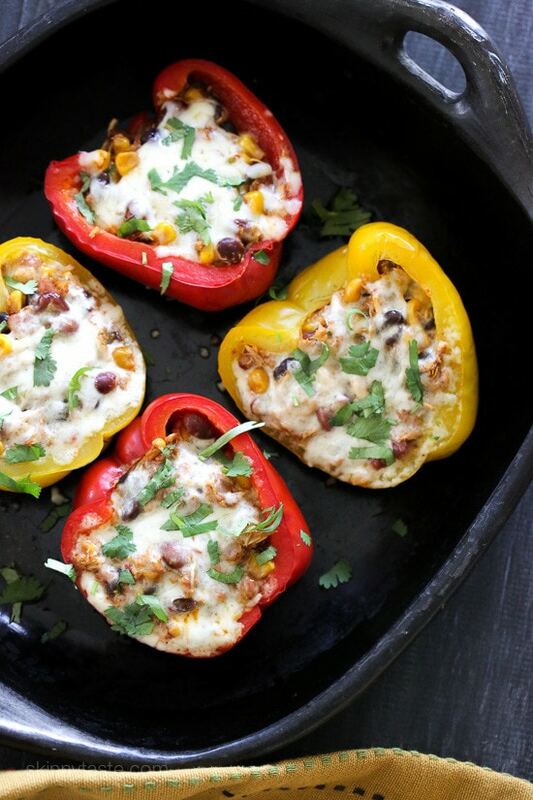 These stuffed peppers have a delicious taco flavor. However, instead of using beef, they use chicken. You can always substitute the chicken for beef if you prefer. Gina – do you put into a strainer to drain any excess liquid? When an ingredient is listed as (optional), does that mean it is not included in the points count? Made the taco chili tonight and my husband ate so much of it I may not have enough leftovers for the peppers! 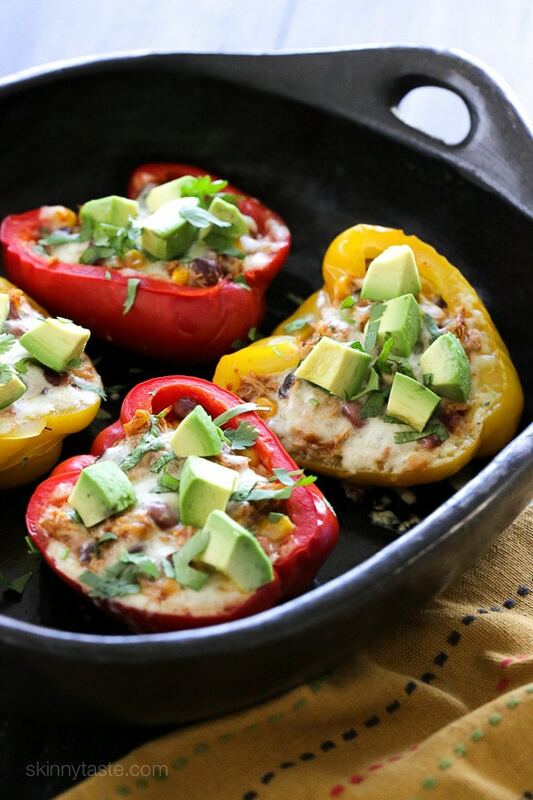 I am obsessed with stuffed bell peppers. Been making them a lot recently with eggs. Love how simple this is! P.S. your website will not allow me to comment with my name & URL or WP account. Yum! I love them filled with just about everything! S0 strange it wouldn't allow you to. 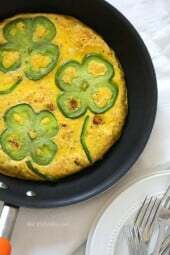 what do u make them with eggs?? That sounds delish! Gina, will your taco chili recipe adapt well if I use lentils instead of chicken and beans? I haven't tried it but why not! 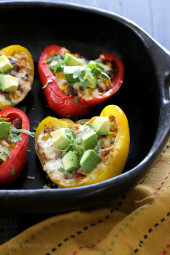 I was just looking for stuffed peppers recipes last night and had decided to make the Santa Fe ones. I think you've just changed my mind! those are awesome, but these are easy if you have leftovers! This recipe is so good! I made that crock pot chicken taco chili tonight and plan to make the stuffed peppers this coming week with it. I froze a good size container of leftover just for that.